Microcurrent takes your skincare treatments to the next level, creating the ultimate result of measurable and visible changes. Microcurrent facials are best known for safely and effectively firming and lifting the skin and have been shown to reduce fine lines and wrinkles. 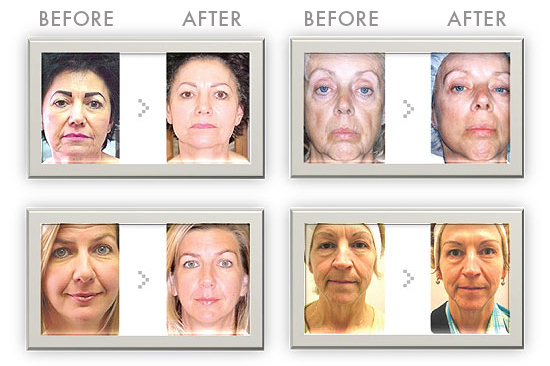 Microcurrent therapy can also be used to improve other skin conditions like acne and rosacea. Microcurrent treatments require no recovery time. The current is sub-sensory, and therefore pain free. It can be used in combination with your current spa facial treatments and combined with LED Light Therapy. Are you wondering what is microcurrent therapy? This type of treatment introduces a low current – a millionth of an ampere – to the body. This current is similar to the currents naturally produced by the body and has minimal sensation. Many conditions, including the natural process of aging, lowers our natural balance of energy. Microcurrent facials will revitalize the cells and boost the production of energy that each cell can make in the form of ATP (adenosine triphosphate). With consistent Microcurrent treatments, the skin begins functioning at a higher levels allowing revitalization of the skin and supporting facial muscles.